Singers, actors, actresses, and stars who were born in the years 1971, 1983, 1995, 2007, and more will be celebrating their "Golden"zodiac years this year, and you bet there are a ton of K-Pop idols who are 1995ers! Media outlet Sports Chosun asked the following 1995-born female idols below to share their hopes and goals for the 'Year of the Golden Pig'. Check out some of their answers! "It's coming to mind once again as I think about greeting the Year of the Golden Pig, but I am always thinking and debating on how to repay fans for all of their love, and to show them a good side. I hope that such thoughts, debates, and efforts pile up little by little and reach our ONCE." "My motto is 'Just don't regret!' My goal in 2019 is to do my best in everything so that I won't regret, and to earn good results." "It's the 'Year of Kei', so I hope that everything 'Kei' does goes well~ I would also like to challenge a musical this year!" 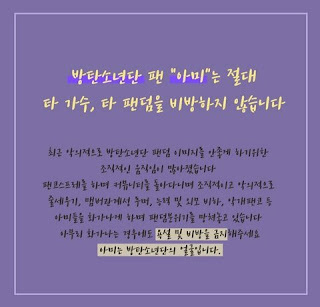 "In 2019, I want to create various 'Whee In-made' projects not just in music, but in other fields. I would also like to spend the time that I am given diligently." "I feel that 2018 was a busy year too, but in 2019 as well, I want to spend a busier year than anyone else, brightly and healthily." "I want to make a comeback with a new side of Black Pink so that our fans can be happy." "I want to continue studying music composition and lyric writing so that I can make music that heals, or music that is unique to Nayoung. And receiving good vibes from the year of the pig in 2019, I want Gugudan to win 1st place on a music program!" "I hope that everyone around me and I will achieve everything we want to achieve in 2019, and my goal is to not lose my perseverance." "It's the Year of the Golden Pig! It feels like only good things will happen this year. I believe we will be very busy first thing in the new year, and my goal is to promote in good health and happiness. We plan to greet fans with a good album soon, and I hope that Cosmic Girls will grow as artists in the new year. Also, I want to greet fans with a good [acting] production!" "I want to lead my team well as the leader, I would like to work hard and make Cosmic Girls known throughout the world, and I would like to take on a solo concert and concert tour." If this article only included the girls why did you even bother to put the pictures of the male idols? Hwasa is a 95 liner? OMG she is younger than me. I have being living a lie. I'm a casual fan but always thought that she was approaching her 30's. First time that I think that a member of a girl group is way older than her real age. Not saying this in a hateful way, she seems cool, confident and like a proud grown woman.